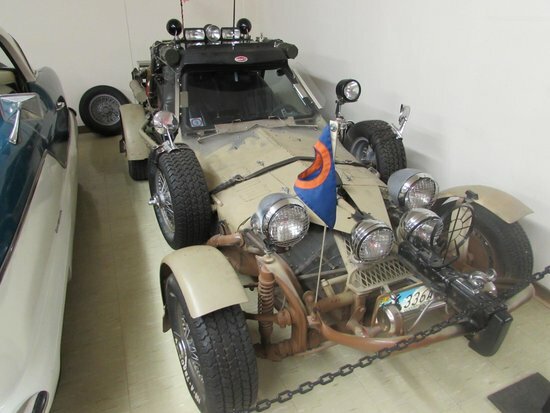 'Mad Max: Fury Road' hits theaters this weekend, but before you check out the film that is receiving worldwide critical acclaim, feast your eyes on a vehicle that was used in one of the previous films starring Mel Gibson. On display at the Old Montana Prison Complex in Deer Lodge is a vehicle that was used on set during the filming of the post-apocalyptic trilogy. "The vehicle was given to us from a man in California (and) he used to drive it all over town, even with the machine gun still attached! Finally the police officers told him he can't continue to drive around with heavy artillery on board and he soon after had to take it off (the vehicle), said Carol from the Old Montana Prison.